Achilles tires - Miata Turbo Forum - Boost cars, acquire cats. 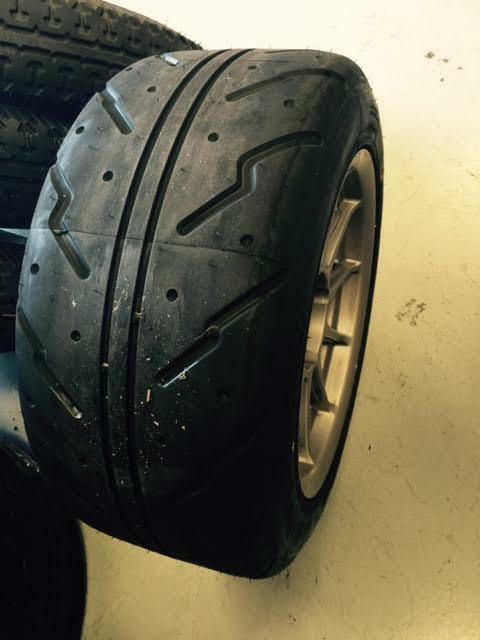 Saw these ATR-K Sport tires in the AIM Tire garage at MRLS this weekend. Talked to Ron (owner of Aim Tire) for a bit. He requested these two sizes and ATR made them. I then bombarded him with info and suggested he request a 245/40/15 and 225/45/15 and relabel the tw from 140 to 200w. Sounds like ATR is a smaller company and Aim can often get new sizes developed in less than 6 months. I think that Aim is the sole US importer/distributor for this Indonesian brand, hence the fast track for new sizes. I have no personal experience with this tire but Ron's sending us a set of 215/50's to test. I'll report when I have something to report. So, if you are interested in a 245/40/15 200tw "street" tire for late summer, contact Aim now and give them your info. Gotta love that website from 1997..
Last edited by emilio700; 10-05-2015 at 03:01 PM. If the 225/45/15 proves to handle heat well and can last, I would give it a try on our enduro car. Sending an email now. I wish I had a chance to walk down and talk to Ron, I chatted with him on the phone a few weeks back about this tire and I was very intrigued. Might be the ticket for some Street Class fun for time attack cars running 15" wheels. There is almost ZERO information out there about these right now, but I did find a blog (found HERE) with a small mention about the tires. Fingers crossed it turns out to be good. Yuta’s EG was the test subject with his Watanabe’s wrapped in 225 ATR-K Sport’s supplied by Apex Tire. 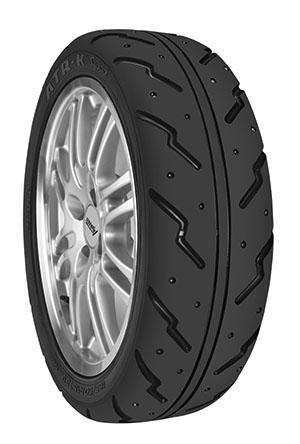 The ATR K-Sport is one of two new competitors in the U.S. street/track tire market from Achilles Radial . The first is the Achilles 123S that Amir used at Super Lap Battle to take home the victory and set a new class record. The second is the tire that we spent the weekend testing, the ATR K-Sport, a new 140 treadwear tire that will be offered in 15″ sizes. The ATR K-Sport did not fail to impress as it performed flawlessly throughout the weekend. A common problem with 140+ tw tires is their loss of performance after a couple laps, and the ATR K-Sport held up to constant abuse while delivering consistently fast laps. Yuta ended the weekend with a new personal best in both directions. The new performance tires from Achilles are showing serious promise and we’re looking forward to further testing over the next few months as we run them on our Time Attack cars. Is this the same tire? Priced pretty cheap. Popular tire in drifting because they're cheap and they make a lot of smoke. I have no road course experience with them. Not quite the same, the ATR K is a bit more aggressive than the standard sport. Looks much different on this website. 6 sizes and 4 diameters are the magic numbers boys. I mentioned that to Ron. Getting the tires eligible for SCCA stock and STR, etc would make demand go through the roof. Larger tire companies short change the smaller diameters purely because there is greater profit in larger diameter tires. Smaller companies, hungry for new niche markets to penetrate are more willing to devote production capacity to these sizes. Thus, our best chance at 23" tall super freak tires are with these small companies. Hoosier qualifies as a "small" company but doesn't have an appropriate tire. Let's work this guys. Inexpensive tires are always a good thing. The name brand tire prices have gone up quite a bit in price the last few years. Last edited by wannafbody; 10-06-2015 at 04:57 PM. Email sent! This has the potential to be awesome. If the 245/40-15 is built it will not be until mid 2016. These numbers are the actual math numbers. However, every tire company (Hoosier is a good example) have slightly different actual size numbers. So, when dealing with different tire manufacturers ( Hoosier especially ) one must take care in the the actual tire to car fitment. Regarding the 200 wear rating. The next production run will address the rating and will probably make some changes to better reflect the actual wear of the ATK-R tire. In our own testing we’re finding that the Achilles ATK-R to be on par with the TOYO R888. It is exactly the performance level we were shooting for. As an option to the TOYO R888, which we distribute. Test drivers have all responded with the same feedback: 1) The ATK-R’s turn in is awesome 2) the tires are very easy to control at the limit. Not so surprising this is the identical feedback we have received from testing and racing on the Achilles full race slick tire. Wider 15 inch tires? We have Pirelli’s to offer. Sent them an email telling them I was interested, I'd love to see these developed as well. More options are always a good thing. Hate the noob for double posting but I come with good news, just got a picture of the tire on a 9" rim. Also got the same email as paNX2K&SE-R got. That's some great info. So theoretically that would make them slightly slower than a NT-01 & RC-1 but faster than a RS3/Rival(non S). The heat tolerance would make it the perfect track day tire, when they go to 200TW it would make it great for crapcan since all the new street tires will drop off in hot weather pretty early into the stint.